SALT LAKE CITY, UTAH – February 19, 2019 – Monnit has developed three new air quality sensors which determine the level of harmful gases at any work site, office, or residential complex. Monnit’s MEMS-based gas sensors monitor the concentration of gases in the surrounding air. The sensors return gas readings to iMonnit or users’ websites, and notifications can be set up to alert via email, voice, or text when levels have exceeded user-defined specifications. The danger of carbon monoxide (CO) poisoning is a growing concern, and the tragic effects of CO poisoning are featured far too often in the news. Maintaining an optimal air mixture can be a simple process. Monnit’s ultra-low-power, high-performance wireless carbon dioxide (CO2) sensors are efficient and effective. OSHA classifies Hydrogen Sulfide (H2S) as a hazardous gas and warns that concentrations over 700 parts per million (PPM) can cause rapid unconsciousness or instantaneous death. Though H2S has a distinct odor, exposure to H2S deadens the sense of smell. The H2S Sensor detects and measures H2S in the surrounding environment. The ALTA Wireless PM 2.5 Sensor measures PM 1, PM 2.5, and PM 10 concentrations in the air. Readings are available in iMonnit or on users’ websites, and notifications can be set up to alert via email, voice, or text when levels have exceeded user-defined specifications. The sensor intakes air and samples it to determine the concentration and size of particulate matter. The Monnit Air Velocity Sensor measures the pressure difference between two input ports. Users can optimize their air refresh cycle with the Monnit Air Velocity Sensor. The sensor also gives vital metrics for air-dependent processes when ensuring a specific flow volume or maintaining consistent air pressure is imperative. Sensor measurement range is -50 m/s to 50 m/s. The device is fully calibrated and factors temperature into velocity calculations. SALT LAKE CITY, UTAH – February 12, 2019 – Monnit Corporation (monnit.com) today announced the launch of the ALTA Insure™ program. 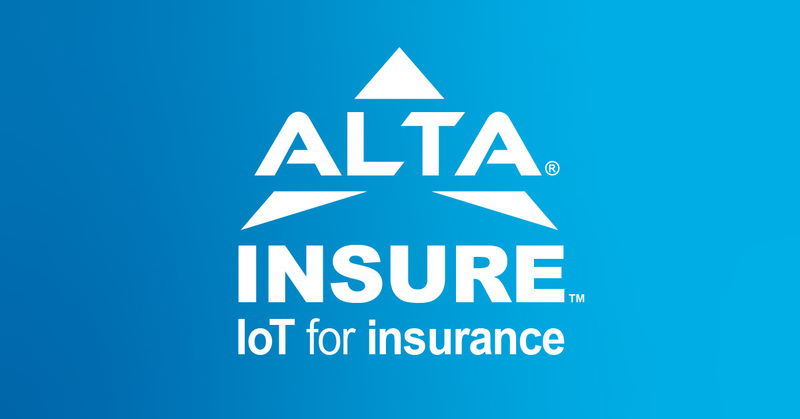 The partnership program promotes collaboration with insurers and leverages Monnit’s award-winning ALTA® wireless sensor platform. ALTA Insure allows insurers to further differentiate themselves by presenting a more comprehensive loss-management solution. The platform can also help insurers lower premiums in an increasingly competitive market. “Monnit has provided remote monitoring to insurance firms since our beginning,” said CEO Brad Walters. “As they have worked with diverse businesses, our wireless veterans have developed an IoT solution that is reliable, long-range and extremely secure. ALTA products offer four times the wireless range of competitors’ hardware—1,200+ feet, non-line-of-site. They also offer superior battery life—12+ years on two AA batteries. Additionally, ALTA products transmit data with bank-level security and have onboard memory for data as well as over-the-air updates—for remote maintenance and feature enhancements. Monnit believes a customer’s data is their property: they can access it from anywhere via online portal or export it to any software. Monnit’s IOTvantage partner program allows business partners to private label the platform. Customized kitting, product development and software are also available to help tailor the platform to an organization’s needs. Monnit is the industry-leading innovator in developing self-installed, cost-effective wireless sensor solutions for commercial and industrial markets. 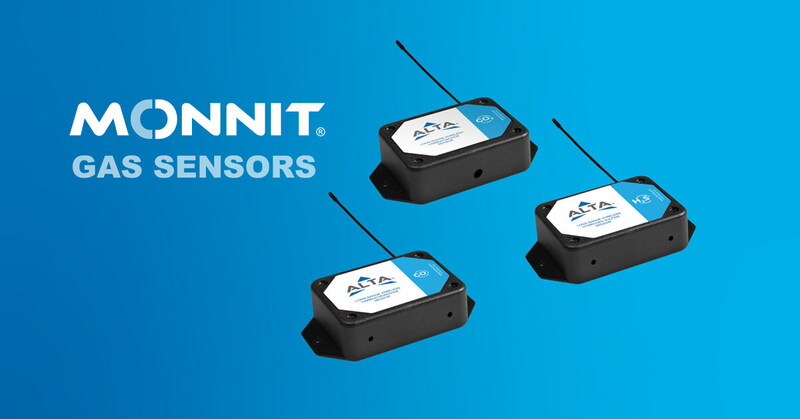 Enterprise and SMB customers use Monnit sensors to remotely monitor 60+ variables (including temperature, motion, humidity and vibration) and receive alerts based on user-defined conditions. Products are fully tested for use anywhere in the world; they are FCC, CE and IC compliant. Find your Monnit monitoring solution at monnit.com. 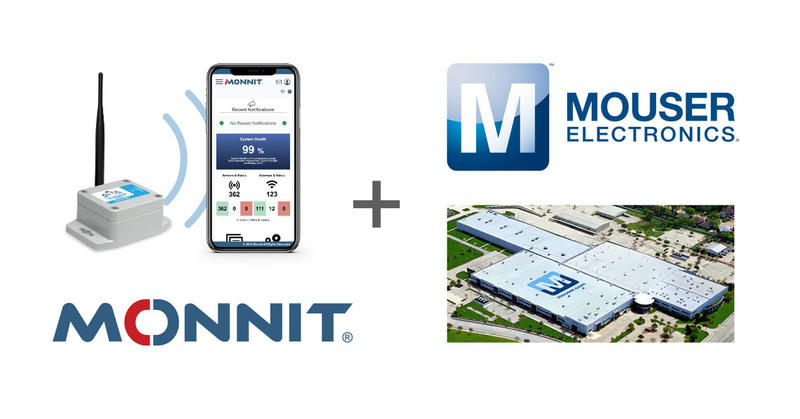 SALT LAKE CITY, UTAH – January 25, 2019 –Monnit Corp announced a global distribution agreement with Mouser Electronics, Inc. Mouser now stocks Monnit’s wireless sensors, gateways and Internet of Things (IoT) starter kits. Monnit Internet of Things Starter Kits feature enterprise-grade hardware and software to address the need for reliable loT solutions. IoT Starter Kits include everything needed to begin monitoring for a variety of applications including facilities, agricultural areas, corporate properties, commercial refrigeration, HVAC systems and server rooms. To learn more, visit www.mouser.com/monnit. Monnit is a leader in the design and manufacturing of cost-effective, turnkey wireless sensor solutions. Monnit’s solutions are used by customers wanting to remotely monitor a variety of variables (including temperature, motion, humidity and vibration) and receive alerts based on user-defined conditions. Discover more at monnit.com. Mouser Electronics, a Berkshire Hathaway company, is an award-winning, authorized semiconductor and electronic component distributor focused on rapid New Product Introductions from its manufacturing partners for electronic design engineers and buyers. The global distributor’s website, Mouser.com, is available in multiple languages and currencies and features more than 5 million products from over 750 manufacturers. For more information, visit www.mouser.com. Salt Lake City, UT — January 31, 2019 — Monnit Corporation (monnit.com) today announced the release of a new cellular gateway to meet the global demand for enterprise IoT deployment. The Monnit® 4G LTE International Gateway is based on a 4G LTE CAT-M1/ NB1 wireless engine and integrates Monnit’s wireless access point network (WAN) for use with Monnit Wireless Sensors. The gateway allows the sensors to operate on the world’s leading cellular networks. Monnit cellular gateways communicate with the iMonnit® (cloud or on-premise) monitoring software via cellular transmission, making them ideal for remote locations or where internet is not available. The system aggregates sensor information and sends notifications via text or email if user-defined conditions are met or exceeded. Monnit is the industry-leading innovator in developing self-installed, cost-effective wireless sensor solutions for commercial and industrial markets. Enterprise and SMB customers use Monnit sensors to remotely monitor 60+ variables (including temperature, motion, humidity and vibration) and receive alerts based on user-defined conditions. Products are fully tested for use anywhere in the world; they are FCC, CE, and IC compliant. Find your Monnit monitoring solution at monnit.com. Salt Lake City, Utah – November 20, 2018 – RoviTracker (rovitracker.com), a leading Asset Management Software provider, announced today a new online monitoring platform that integrates Monnit sensors to provide more data to their users. Project managers face the challenge of collecting data from multiple sources and giving access to key team members in a way that facilitates swift action. 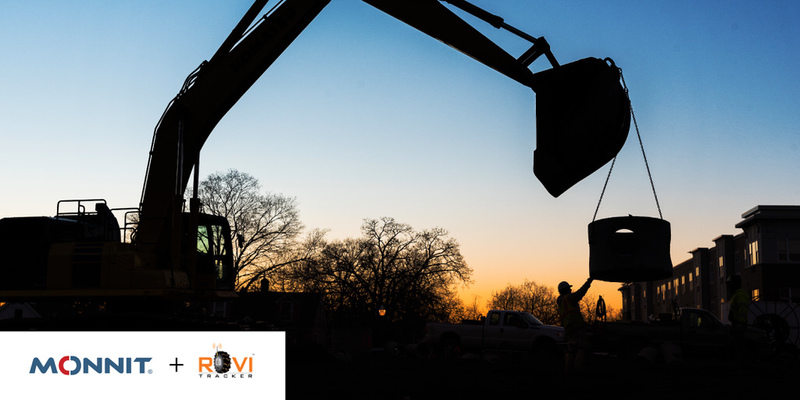 The real value of RoviTracker’s innovative platform is the single-hub approach to presenting sensor readings and video surveillance. RoviTracker is a telematics company specializing in the equipment, agriculture, and trucking industries. Its technologies operate in the IoT (Internet of Things) space, collecting data from heavy equipment such as GPS location, engine run times, battery voltage, PSI, fluid levels, temperature, solar chargers, video, motion, and more. That data then becomes accessible in real-time through transparency platforms and report generators that provide key insights into utilization at job sites, fuel transparency, equipment misuse, and other crucial efficiencies and discrepancies. Monnit is a leader in the design and manufacturing of self-installed, low-cost wireless sensor solutions for commercial and industrial markets. Enterprise and SMB customers use Monnit sensors to remotely monitor 60+ variables (temperature, motion, humidity, vibration, etc.) and receive alerts based on user-defined conditions. Products are fully tested for use anywhere in the world; they are FCC, CE, and IC compliant. See Monnit’s affordable and easy-to-use business monitoring solutions at monnit.com. SANTA CLARA, Calif. — Oct. 04, 2018 — Glassbeam, Inc., the premier machine data analytics company, announced today the integration of environmental sensor data into its Clinical Engineering Analytics (CLEAN™) Blueprint software, enhancing quality and time to insights. Monnit Corporation’s ALTA IoT sensors will provide this new data. Monnit sensors monitor environmental factors, such as room temperature and humidity; when these factors deviate beyond specific ranges, they can adversely impact the performance of expensive hospital imaging equipment, such as CT scanners and MRI machines. Previously, CLEAN™ Blueprint was primarily focused on collecting, assimilating and analyzing machine logs from complex equipment such as MRI and CT Scanners. The new capability will monitor external environmental factors that can impact proper functioning of medical imaging assets. This solution advancement will collect the environmental telemetry data such as compressor power, water inlet and outlet temperature, room humidity and temperature readings every few seconds. Combining telemetry data with machine logs into one holistic data model provides incredible value by alerting staff on impending failures within operating imaging machines. This addition will translate into higher machine uptime, lower maintenance costs, and overall superior patient care. Monnit leads the Internet of Things by empowering businesses with easy-to-use, low-cost remote monitoring solutions. Monnit solutions can be used to remotely monitor a variety of things (i.e., temperature, motion, humidity, vibration, etc. ); alerting you via text, email, or phone call when something goes wrong. More at monnit.com. Salt Lake City, Utah – October 3, 2018 – Monnit Corporation (monnit.com) today, announced that their ALTA wireless humidity sensors have been enhanced to provide even higher accuracy. Utilizing new humidity-sensing technology, ALTA wireless humidity sensors are now capable of measuring humidity to ± 2% under normal conditions (0%–100% RH) and temperature to ± 0.5°C under normal conditions (0°C–100°C). ALTA wireless humidity sensors allow you to monitor the relative humidity of the air within a room or enclosure. Ideal for monitoring humidity within greenhouses, industrial spaces, museums, saunas and humidors. They can also be used for residential applications such as controlling mold, mildew or dust mites. ALTA products offer four times the wireless range (1,200+ feet, non-line-of-site) and much stronger battery life than traditional sensors (12+ years on two AA batteries). ALTA products also use Monnit’s Encrypt-RF® bank-level security, featuring 256-bit exchange and AES-128 CTR for all data messages. All of Monnit’s wireless sensors include free basic iMonnit online sensor monitoring with SMS text and email alerting. For more information on Monnit’s ALTA sensors, gateways and remote monitoring software, call (801) 561-5555 or visit monnit.com/alta. Monnit also provides products to OEMs and resellers through the IOTvantage™ business partner program which allows for volume discounts and private branding of both the wireless hardware and online monitoring software. Learn more at monnit.com/partner. For more information visit monnit.com. Monnit is a global leader in the design and manufacture of low-cost turnkey monitoring solutions for commercial, industrial and consumer markets, recognized by CRN as one of the “15 Coolest IoT Hardware Companies,” for its innovation, devices, analytics and infrastructure that have transformed and improved the way we work and live. SALT LAKE CITY, UTAH –August 29, 2018 – Monnit Corporation (www.monnit.com), a leading provider of wireless sensors and remote monitoring solutions, today announced a partnership with Cradlepoint (cradlepoint.com), a leader in cloud-delivered 4G and 5G wireless network edge solutions, to offer wireless sensor-to-cloud connectivity solutions for IoT. 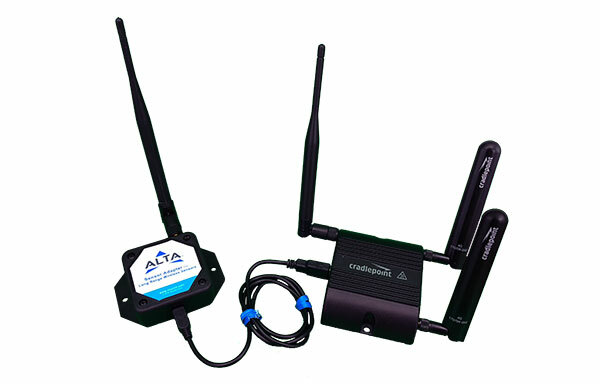 Under the partnership, Monnit’s ALTA® wireless sensor adapters seamlessly integrate with Cradlepoint wireless edge routers to provide reliable and secure connectivity of sensors to cloud-based monitoring applications. ALTA products offer four times the wireless range (1,200+ feet, non-line-of-site) and much stronger battery life than traditional sensors (12+ years on two AA batteries at 10-minute check-ins). ALTA products also include bank-level security for data transmissions, onboard memory for data logging and over-the-air updates allowing for remote maintenance and feature enhancements. Cradlepoint offers a portfolio of wireless edge routers, powered by the Cradlepoint NetCloud service, that provide secure and reliable IoT connectivity for on-premise, in-vehicle and in-field deployments. NetCloud Manager simplifies deployment, management and troubleshooting of edge routers while NetCloud Perimeter lets customers setup a secure, software-defined overlay—in minutes—that isolates and connects Monnit wireless sensors over the 4G LTE and internet-to-cloud monitoring applications. Learn more about Monnit wireless sensors for use with Cradlepoint wireless edge routers. Monnit’s IOTvantage™ partner program allows business partners to private label the solution. Custom kitting, product development and customized software features are also available to help tailor the solution for the customer’s specific needs. Cradlepoint is the global leader in cloud-delivered wireless edge solutions for branch, mobile, and IoT networks. The Cradlepoint Elastic Edge™ vision—powered by NetCloud services—provides a blueprint for agile, pervasive, and software-driven wireless WANs that leverage 4G and 5G services to connect people, places, and things everywhere with resiliency, security, and control. More than 20,000 enterprise and government organizations around the world, including 75 percent of the world’s top retailers, 50 percent of the Fortune 100, and first responders in 10 of the largest U.S. cities, rely on Cradlepoint to keep critical branches, points of commerce, field forces, vehicles, and IoT devices always connected and protected. Major service providers use Cradlepoint wireless solutions as the foundation for innovative managed network services. Founded in 2006, Cradlepoint is a privately held company headquartered in Boise, Idaho, with a development center in Silicon Valley and international offices in the UK and Australia. Monnit is a leader in the design and manufacturing of turnkey, self-installed, low-cost wireless sensor solutions targeted at commercial and industrial markets. Monnit’s sensing solutions are used by enterprise and SMB customers wanting to remotely monitor information and activities around a variety of variables (i.e. temperature, motion, humidity, vibration, etc.) and receive alerts based on user-defined conditions. Monnit products are fully tested, FCC, CE and IC compliant for use anywhere in the world. For more information, visit www.monnit.com. Salt Lake City, Utah – July 3, 2018 – Monnit Corporation (www.monnit.com) today announced new optimizations for ALTA industrial solar sensors. Monnit’s engineering team has designed in some new hardware improvements that allow ALTA Industrial sensors with the solar power option to work more efficiently when used under typical indoor lighting. Testing shows that indoor lighting present for 25% of the day yields 125% of the sensor’s required daily operating power at 10-minute heartbeats. The optimized solar cell hardware, coupled with the included rechargeable battery and ALTA’s recent firmware enhancements, allow for seemingly endless battery life (only limited by the degradation of the battery cell). ALTA industrial sensors offer four times the wireless range (1,200+ feet, non-line-of-site) and much stronger battery life than traditional sensors (10+ years on a single 3VDC battery). ALTA products also use Monnit’s Encrypt-RF™ bank level security, featuring 256-bit exchange and AES-128 CTR for all data messages. All of Monnit’s wireless sensors include free basic iMonnit online sensor monitoring with SMS text and email alerting. For more information on Monnit’s ALTA sensors, gateways and remote monitoring software, call (801) 561-5555 or visit https://www.monnit.com/alta. Monnit also provides products to OEM’s and Reseller’s through the IoTvantage™ business partner program which allows for volume discounts and private branding of both the wireless hardware and online monitoring software. Learn more at https://www.monnit.com/partner. Monnit leads the Internet of Things by empowering businesses with easy-to-use, low-cost remote monitoring solutions. Monnit solutions can be used to: remotely monitor a variety of “Things” (i.e. temperature, motion, humidity, vibration, etc. ); alerting you via text, email, and/or phone call when something goes wrong. More at www.monnit.com.